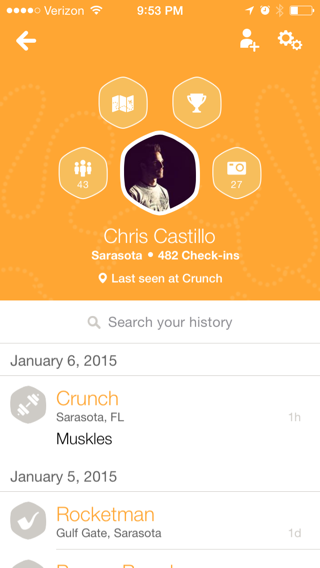 I really wanted to get a handle on my health and fitness routines this year. I started focusing on these areas last summer and really want to step my game up this year. 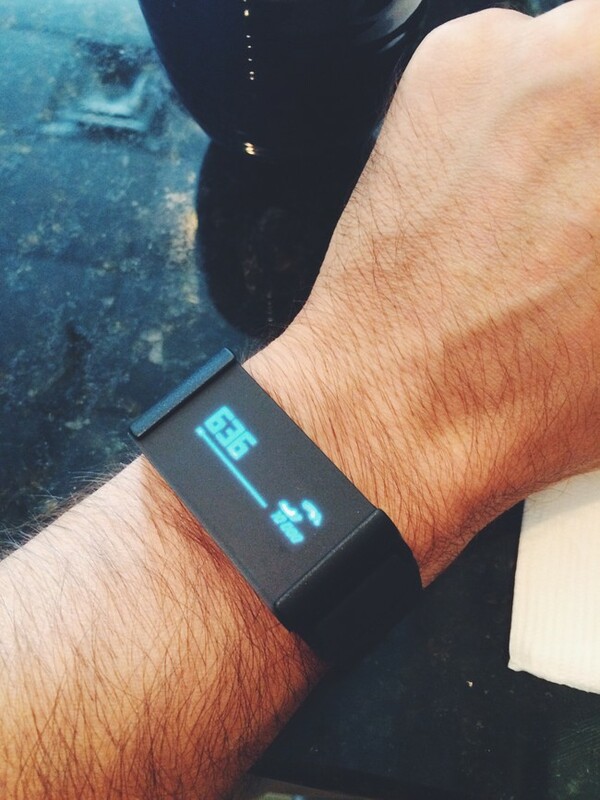 I recently purchased a Withings Pulse O2 and I’m absolutely loving it so far. I wear it on my wrist each day and it gives me all the information I need about steps taken, distance traveled, runs completed, elevation, calories burned, sleep patterns, heart rate and approximate blood-oxygen levels, and it even tells me the time! My only gripe about this device is that it’s not waterproof — that would be amazing. 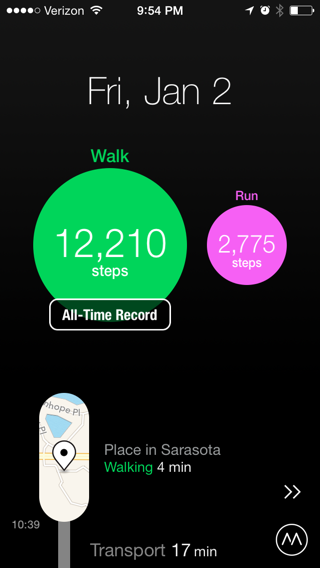 It syncs with their mobile app and desktop dashboard so I can check my progress and stats literally anywhere. So cool. 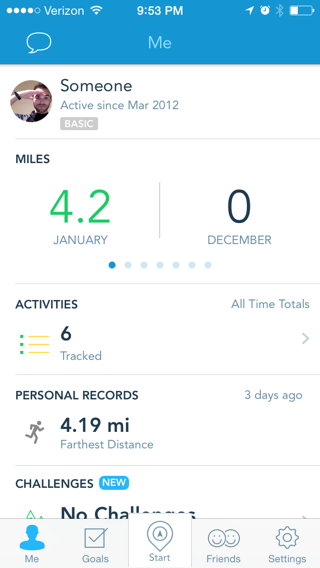 I use this app to track all my runs. I try to at least run 2–3 times per week. I might be getting back into high-intensity cardio and bump my runs down to maybe once or twice a week after I finish training for this half marathon. 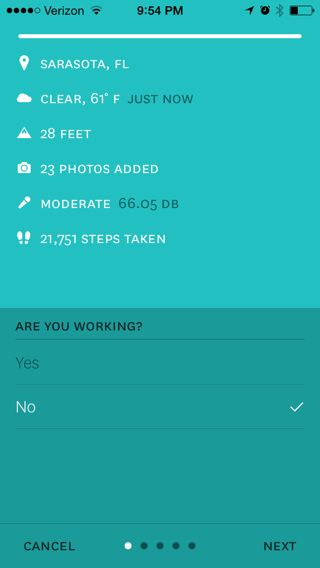 From RunKeeper I’ll be able to get data on my location, distance, duration and route. That’s all I really want to track with this. 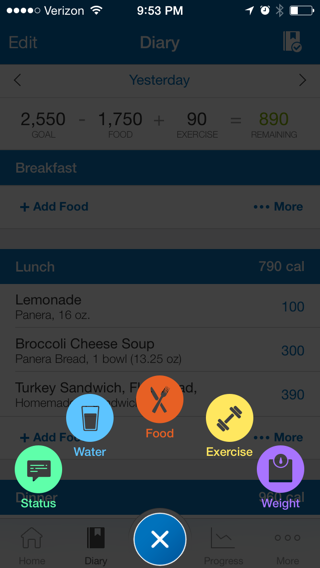 This app is great and it’s helping me form a habit of recording all my meals for the day, how many calories I’m taking in, my weight and my workout routines with exercise type, sets, reps and weight. I’ll probably be monitoring this app the most because one of my goals this year is to get very very fit and achieve the body aesthetic and strength I’ve always wanted. I will also be manually keeping up with my body measurements separately of the app since all they have is weight and height. 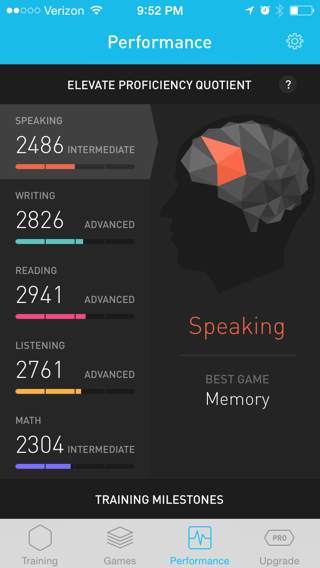 I want to meet the designers who make this app…the visuals, animations and sounds are some of the best I’ve ever seen in a mobile game…Elevate is a really cool brain training app that prompts you to play certain categories of games every day. I plan on subscribing to unlock more in a few days because it’s so addictive. I really think mental health is an important thing to focus on so this app will allow me to track my speaking, writing, reading, listening, and math skills. I’ll be traveling a ton all over this year so this is a perfect time to document the different locations I’ll be visiting. Among them are Cabo, Chilé, Norway, Sweden, Iceland, Morocco, Australia, New Zealand, Hawaii and others. I’ll be checking into as many places as I can to track my location data so when I do my reports I’ll be able to see the number of places I’ve been for that quarter, what places I frequent the most and who I’m with (if applicable). Moves will be tracking all my location data so I’ll be able to get a more granular view of my activities and travel routes. Reporter is pretty cool — It asks me questions throughout the day at certain times. I can report on if I’m working or not, who I’m with, what I’m doing, the weather, sound levels of my environment, and other stuff like that. I can start to create my own custom questions if I feel like I’m not getting enough data too. Pretty neat. This one is a bit tricky because there are so many different sources. I use Slack, Google Hangouts, Facebook, Twitter, iMessage, Gmail, phone calls and in-person conversations of course on a daily basis. Although I won’t be reporting the exact transcriptions, I will be scraping the data as a whole to find out what topics I discuss the most and on average, the average length of my conversations (this one will be tough), and the total number of conversations I have. 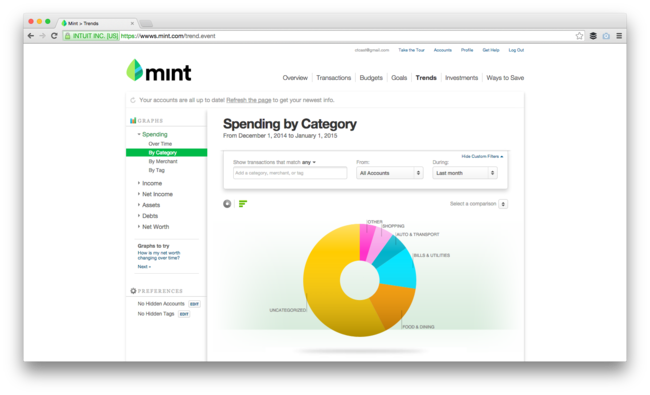 I’ll be tracking my spending and saving habits through Mint. They provide a wonderful way to view your transactions and see trends in where your money is going and coming from. They also provide tools for setting savings goals as well as a ton of other things. I saved a lot of money in 2014 and I hope I can achieve the same or better in 2015. 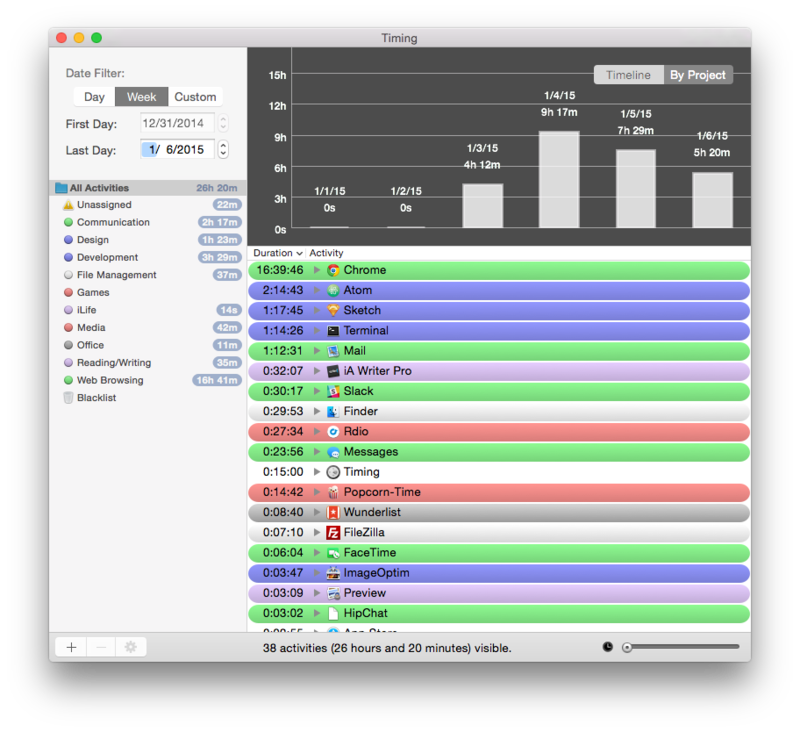 I do all my time tracking for freelance projects through Harvest and I’ll be able to see how many total hours I spend on all my projects and number of invoices sent out. I think this will really help me set better objectives when it comes to gaining new clients and perfecting my workflow this year. I haven’t found great apps for these particular things just yet so I’ll be keeping up and recording them manually online. I’ll be getting blood tests every month to monitor my vitamin D, HDL, LDL, sodium, potassium, iron and glucose levels. (I stole this from April Zero — the creator of Gyroscope. I hope maybe this will inspire you to think about the things you’d like to change about your life and the goals you want to achieve. That’s exactly what this year-long exercise is doing for me. Want to stay updated on my progress? Subscribe below! I hope you have an amazing 2015. Product Designer @trello - previously @eventbrite. Inspired by people & the great outdoors 🌲🏔 🌲 Not a 🤖.